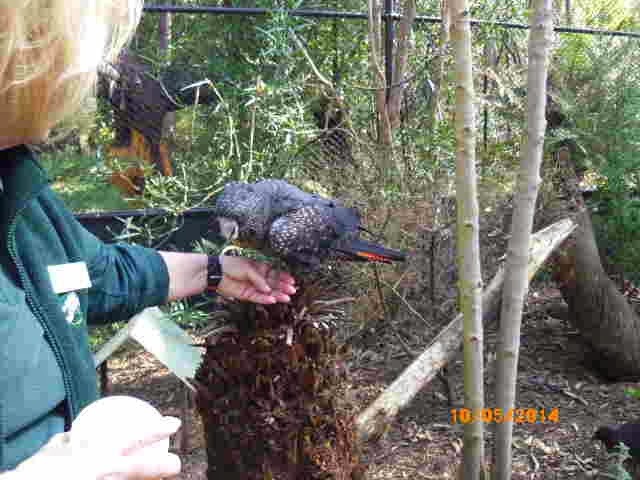 Patra's Other Place: Healesville Sanctuary. 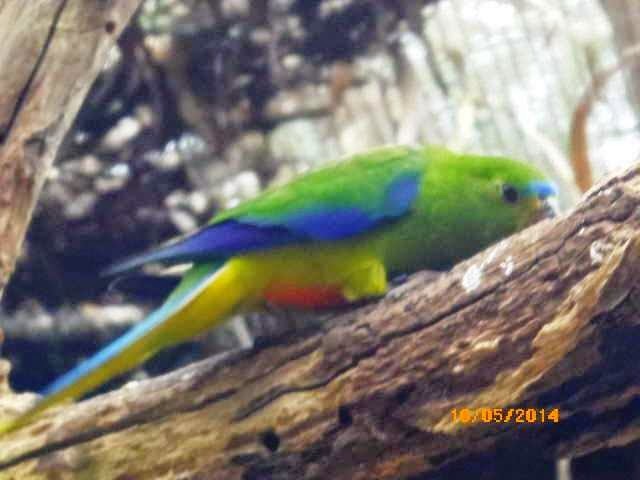 Ken and I spent today at Healesville Wildlife Sanctuary. 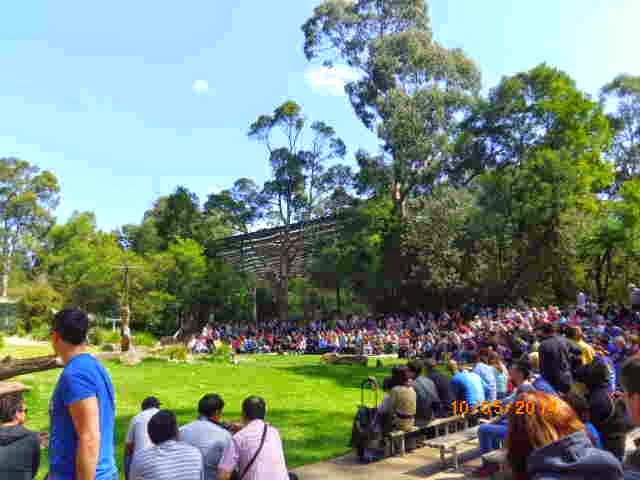 We went there today for two reasons, the main one being it was the annual Avicultural Society picnic, and we get a few privileges such as seeing 'behind the scenes' with endangered species, how they prepare food for all the creatures at the Sanctuary, etc. 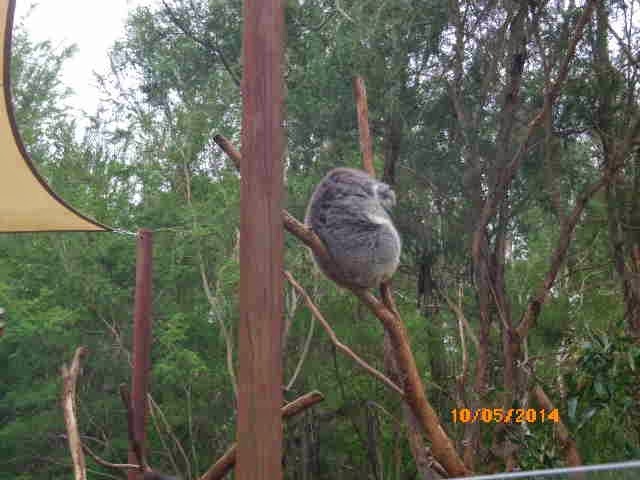 The koalas are always popular even when they are asleep with their back to the tourists. 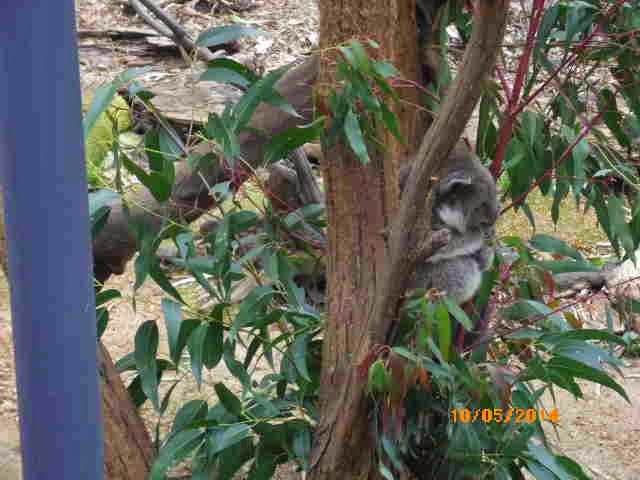 But the joey in the second photo was a bonus; he'd only been out of his mother's pouch for a few days, and is so cute! Until today, I've never seen a baby koala at this age. 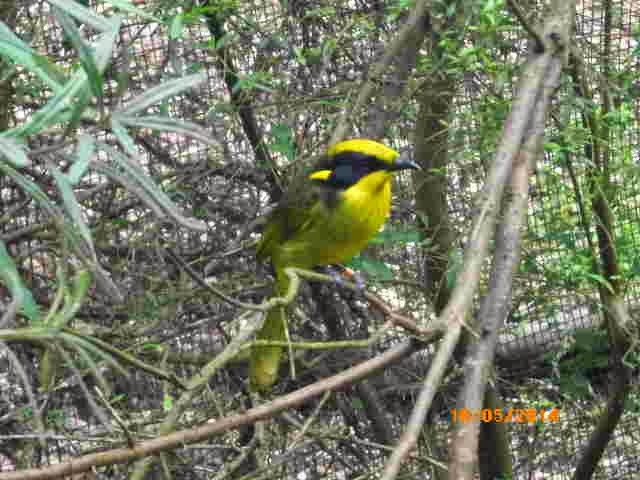 This is the Helmeted Honey Eater, the bird emblem of Victoria. There are only about 60 of these left in the wild. The Orange Bellied Parrot is smaller than what I expected, considering that it's annual migration is across Bass Strait to Tasmania. 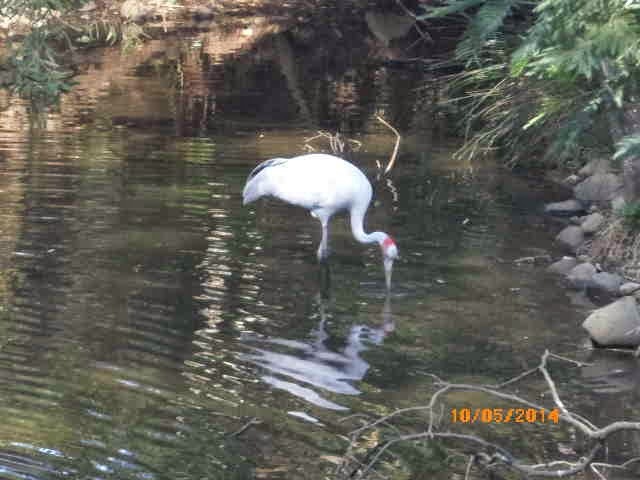 It is estimated there are about 70 birds that migrate now. 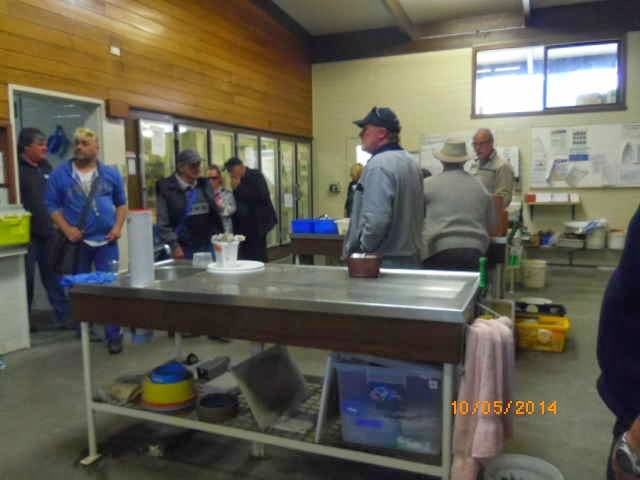 This is one of the food preparation rooms. So much variety of fruit, vegetables, seeds, fish and maggots. The Raptor arena - full of spectators waiting for the daily display. 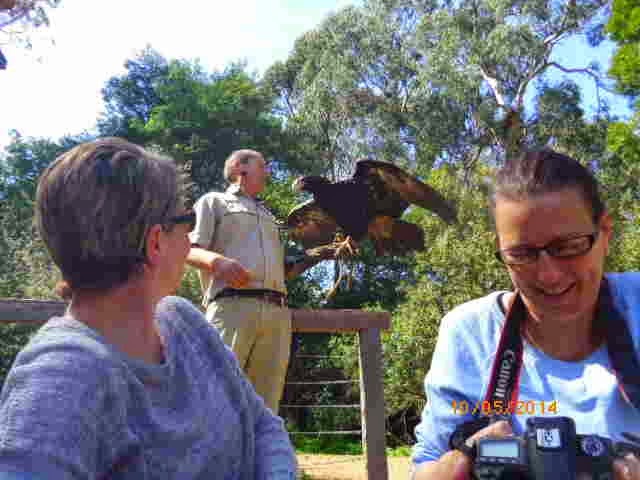 The eagle landed on the arm of the handler, who was standing right behind us. I was lucky to get this photo, as birds in flight are amazingly fast, and the eagle settled there for just a few seconds before taking off again. 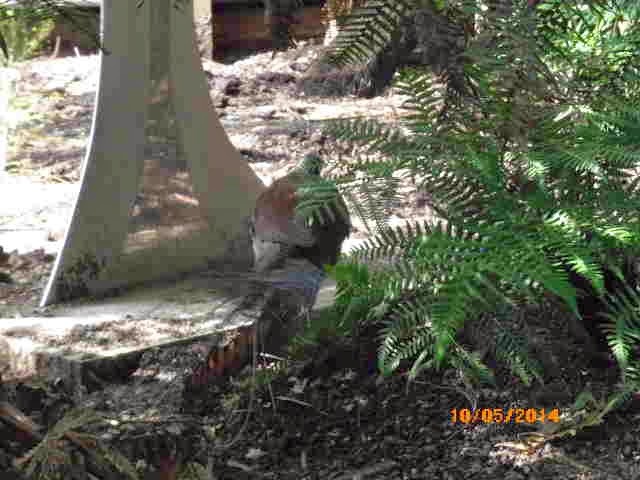 Male lyrebird disappearing into his bushy aviary. Red tailed black cockatoo on the arm of a volunteer. This one had been born and raised at the Sanctuary, so is used to humans. 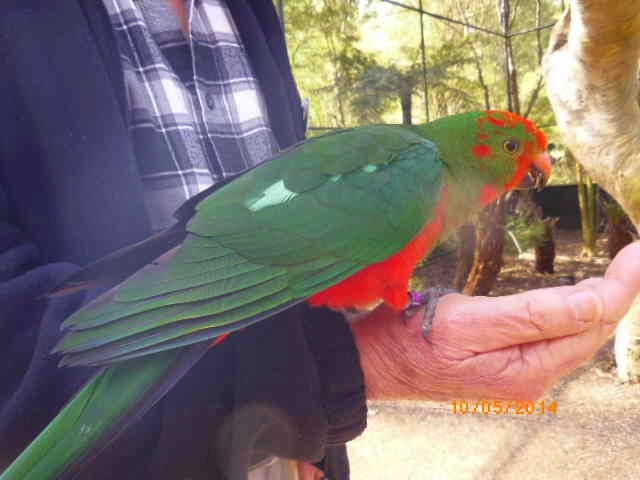 Young King Parrot perched on Ken's hand, eating the seed in his hand. 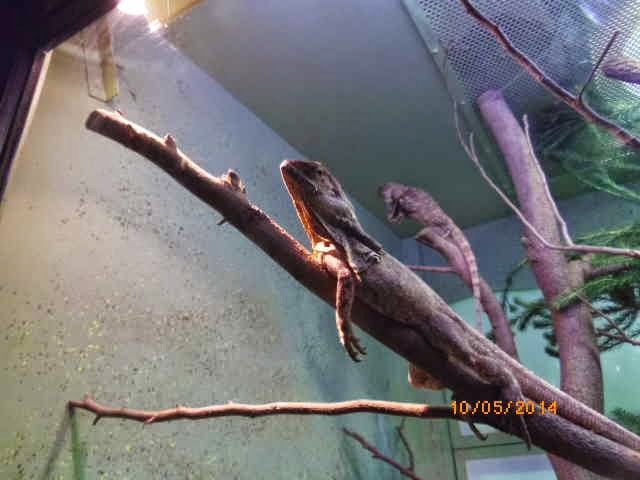 We also visited the Reptile enclosure. 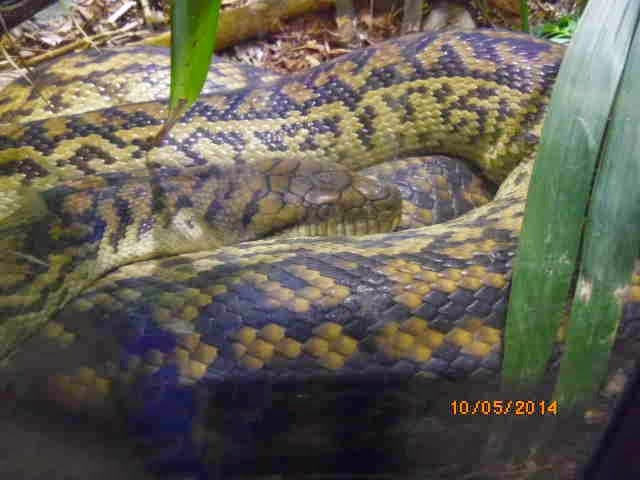 Lots of snakes and lizards.. I got a lot of photos which look perfect on the camera, but they have turned out pixilated on the computer, it is really annoying. I don’t know how to fix it, but I know it can be done because I googled it, and saw instructions (which are gobbledy gook to me). Wow, what a wonderful day. 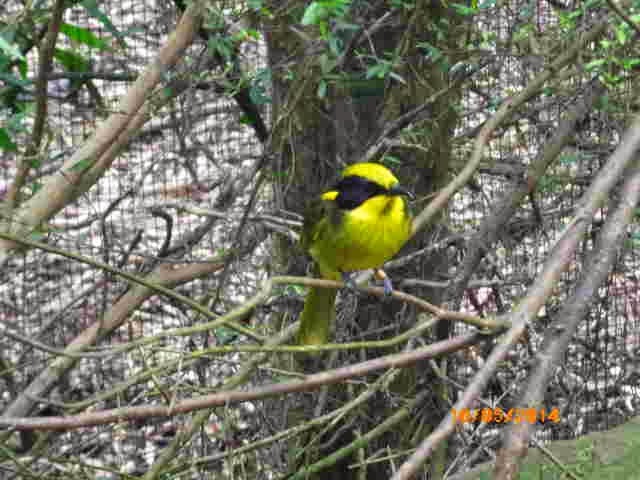 The birds are beautiful.